It doesn’t seem like all rain we got this year is ever going to work it’s way out of Mobile Bay. The water is starting to clear and the water temperature is in the mid 80’s. Summertime water temps are heading into the 90’s and that means the trout fishing slows down. If you are fishing in the lower half of the bay, conditions are saltier than the northern half. Down south, top water plugs, suspending baits like Mirrolure Catch Jr., soft plastics on the bottom, and live bait under popping corks or carolina rigs are all good bets. 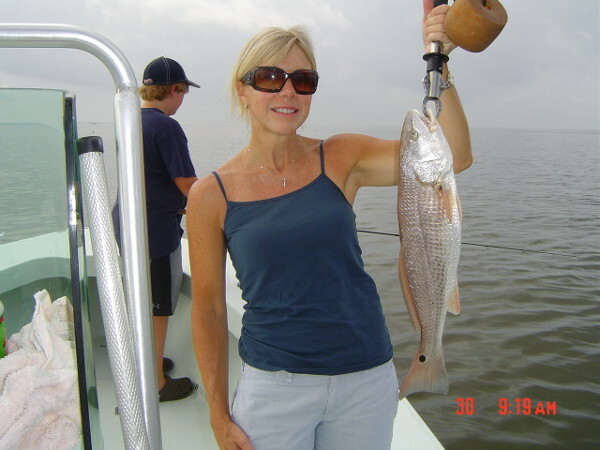 The rigs at the south end of the bay and the shoals around Dauphin Island are holding specs. Live shrimp under a slip cork is a good way to catch trout in the deeper water like these rigs as well as Middle Bay Lighthouse. Fish the bottom on all of these reefs as that is where the cooler water is. So forget the top water plugs and popping corks unless you hit the shallow water around the island around sunrise. After the sun comes up, trout will be heading for deeper water. If live bait is your thing, try a carolina rig with a 1/2 oz sinker. Soft plastics on a 3/8 oz jig head and some brighter colors like white/chartreuse, chartreuse/red, and root beer/ chartreuse are good choices. Don’t be surprised if you find a flounder. Reds are still not on the causeway and flounder are usually not to far behind. As the month goes by and the water gets saltier the trout and reds will move further north. The same baits I mentioned earlier will work here. 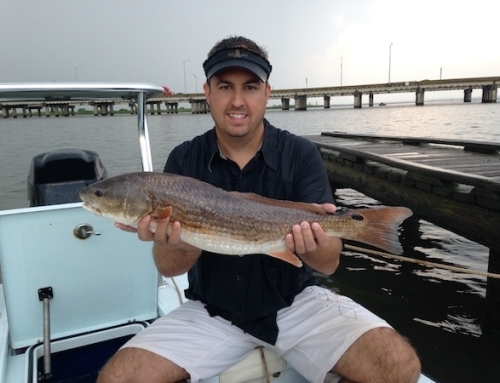 My favorite redfish bait in water less than 6 feet is still a Hildebrandt spinner bait with a size 4-1/2 gold blade. 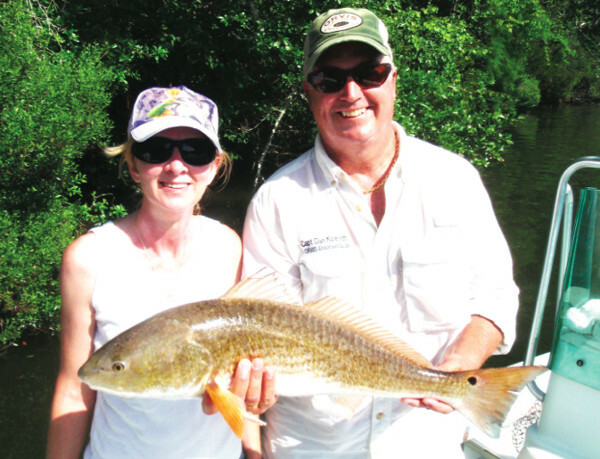 For flounder, a soft plastic or bull minnow on a carolina rig will be the way to go. 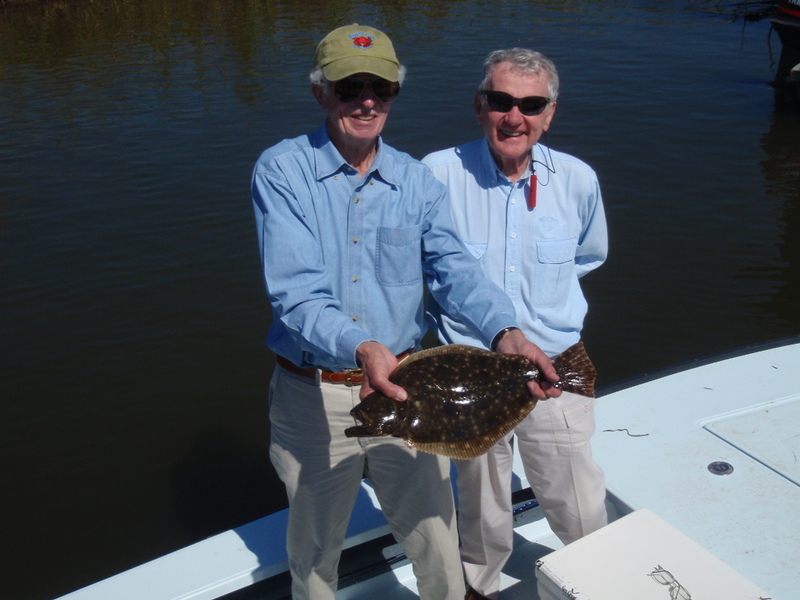 Flounder will be around the docks close to shore as they work their way north. Look on the sandy points on the causeway toward the end of August. Good luck this month. Hit it early, so you can be headed home before the mid day heat gets you.